The first international Leviathan trailer for director Andrey Zvyagintsev’s (The Return) new film has landed online, giving us here in the States a look at what is certainly one of the most buzzed-about foreign films of the year. Inspired by the Biblical Book of Job, the Russian pic mainly revolves around a dispute between a property owner and his mayor over a parcel of land in a small town, but Zvyagintsev uses the premise as an opportunity to dive deep into issues such as class, corruption, and faith. Indeed, many have praised the film’s strong social criticisms of Russia itself, and the pic premiered to wildly enthusiastic reviews at the Cannes Film Festival earlier this year where it took home the screenplay award. It seems like a sure-fire Oscar contender in the Best Foreign Language Film race, but the question is will Russia submit the pic as its entry, or will it shy away from the critical nature of the film? Either way, I’m looking forward to checking it out. Watch the international Leviathan trailer after the jump. The film stars Alexey Serebryakov, Elena Lyadova, Roman Madyanov, and Vladimir Vdovitchenkov. 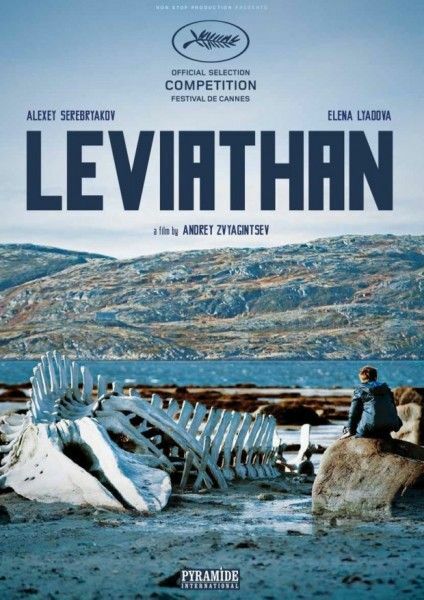 Leviathan opens stateside courtesy of Sony Pictures Classics on December 31st.